The national day of Jamaica is its Independence Day. It commemorates the proclamation of Jamaican independence from the United Kingdom on August 6, 1962. Jamaica is a Caribbean island country that comprises the third-largest island of the Greater Antilles. The first Europeans to set foot on the island were the Spanish. Christopher Columbus discovered Jamaica and claimed it for Spain in 1494. 15 years later, Spain founded the colony of Santiago, but abandoned it in 1524. The English captured Jamaica in 1655. In 1670, England and Spain signed the Treaty of Madrid. According to the treaty, England obtained formal control of the Cayman Islands and Jamaica. The English brought slaves to work on sugar plantations. In 1833, slavery on Jamaica was abolished. In 1958, various colonies of the United Kingdom in the Caribbean formed the Federation of West Indies. The aim of the Federation was to gain independence from the UK as a single state. However, on August 2, 1962, Jamaica withdrew from the union and declared itself a sovereign state. 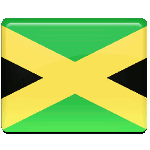 Jamaican Independence Day is a public holiday widely celebrated throughout the country. It is marked with solemn official ceremonies, flag hoisting to the national anthem, parades, folk music and dances, open-air concerts, festivals and other celebratory activities and events.